Also in that price rang you have the 0 Coast, moog mother 32 and some dreadbox synths. Then the Arturia sequencer had better be worth it. The patch bay looks more extensive than the Dreadbox synths, nice as they are. it was not about that, it was about calibration (or circuit design maybe? ), only small portion of the sliders was making any difference in sound, the rest was kind of useless, and they are short to begin with. Well that’s was the point the guy I was replying to was making. In that price range, there’s a lot to compete with, so the new sequencer /bells/whistles need to be able to stand up when compared to others in that price range. love the features & stuff… but the Arturia sound never quite does it for me ( though the Matrixbrute was nice )… guess I’m too dialled into the pure class of the Moog sound… that 2 pole Steiner Parker filter just isn’t my thing. But props to Arturia for coming up with this set-up… as things stand though Moog will still be getting my ££ for a DFAM to go with my Mothers, unless NAMM has something else up its sleeve. I may consider trading in my 0-Coast and Beatstep pro for this, I’ve not been getting enough use of the 0-Coast to justify the purchase, think a Minibrute would be more useful in my workflow. Think I’ll delve into the 0-Coast more over the next few months before making that jump. I’ve not been much a fan of it’s nasaly sound so far but there’s probably a lot of unexplored territory. I’m wondering how the Minibrute2 compares. I’m somewhat disappointed that Arturia have labeled this the Minibrute 2 instead of creating a new product title. As the old quote goes “Competition kills creativity”. While this quote is true it also lowers the darn resale value of my original Minibrute! Concept reminds me strongly at Novation Monostation. But either way…Analog Four can do all of the Minibrute 2S or Monostation times 4. Still haven’t found any description (unless it’s buried in a YouTube video that I haven’t made time to sit through yet) of this “triple layered sequencer”. But hey! 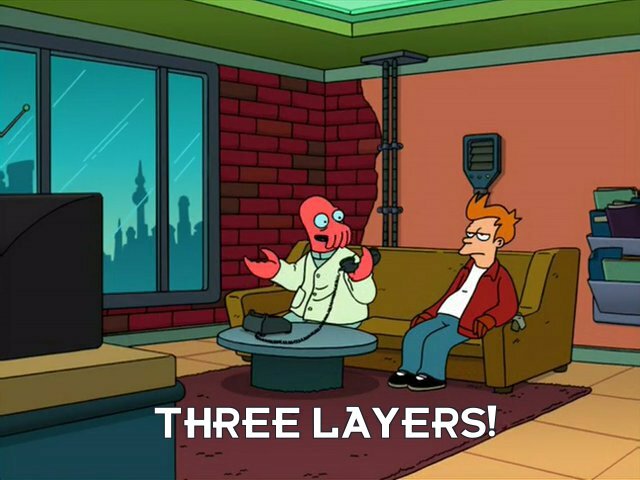 Three layers! Exactly what I told myself after watching the videos. Not all but most of it and a lot other things they can‘t do. I think 0-coast sounds more interesting, more harmonics in that oscillator and better results in the strange department. Anyone know what the mean by triple layered sequencer? Pitch, velocity and modulation or another parameter. The Moog DFAM has two as for instance. Three layers and lots of icing. Really good sounds from the 2S here. Seems like it’s capable of getting really wild. I’ve been missing my MS20 lately but it seems like this could be a better solution, especially with the sequencer. I found this vid good to compare the 2 and the 2S – they have the same price after all so what is the difference? This video is 12:20 long, but you can skip the preliminaries in the first 1:20. I don’t know – maybe i’m leaning 2S. ADDED: In the video loopop makes the distinction of the 2 being more for performance and the 2S as more for sequencing. That is true, BUT some people are also comfortable performing with a more standard sequencer interface.